Precisely when and where did our species emerge? 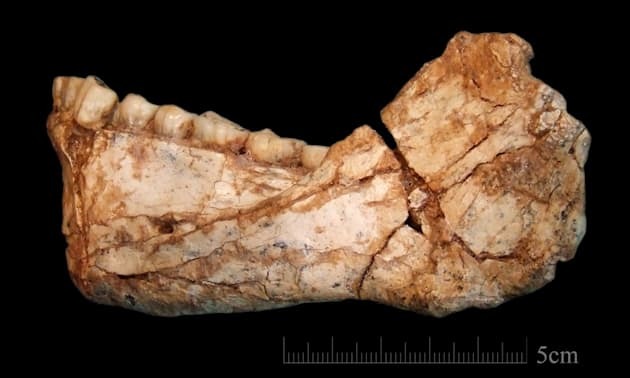 Anthropologists have struggled with that question for decades, and until now, scattered clues have suggested the answer lies somewhere in sub-Saharan Africa, around 200,000 years ago. But new evidence outlined in twopapers published in the journal Nature challenges that hypothesis. Instead, the authors describe recently discovered remains that suggest the first Homo sapiens showed up more than 100,000 years earlier than we thought, in a place many experts didn't suspect. 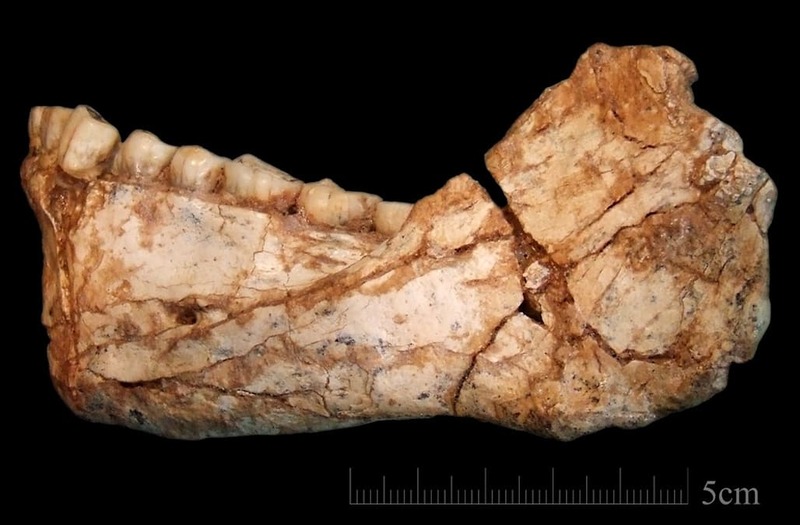 The fossils could represent the earliest known examples of Homo sapiens ever found (if confirmed by further research), and serve as evidence that members of our species lived beyond sub-Saharan Africa. In 1961, a crew of miners was plowing into a dense wall of limestone in a hilly region west of Marrakesh when they struck a soft patch. The hardened beige surface gave way to a mound of cinnamon-colored dirt. Peeking out of the earth was a sliver of human skull. A bit more digging revealed a nearly-complete skull, which the miners turned over to their field doctor. As word about the discovery spread, researchers flocked to the area. They uncovered more remains, including several pieces of jaw bone and a fragment of an arm. At the time, scientists pegged the fossils as roughly 40,000 years old, a few thousand years before our extinct European relatives, the Neanderthals, were thought to have vanished. But they hadn't dug deep enough. Roughly 40 years later, anthropologist Jean-Jacques Hublin and his team from the Max Planck Institute excavated the half-dozen layers of soil beneath the land where the skull and arm bones had been discovered. There, the team found remains that they say belong to at least five individuals. Using a dating technique that measures how much radiation has built up in a material since it was heated, Hublin and his team say the ancient bones came from people who lived roughly 300,000-350,000 years ago. "These dates were a big wow," Hublin said on a recent call with reporters. Still, the biggest discovery didn't come until the team looked more closely at the skulls. When Hublin peered into the cavernous eye sockets of one of the skulls, he was astonished. Instead of the robust features he was accustomed to seeing on the faces of an ancient human ancestor like Homo erectus or Homo heidelbergensis, this face bore a striking resemblance to his own. Where an erectus skull had a single, protruding brow ridge, these individuals had smaller, separated ones. Rather than a large face and a flattened skull, these people had small faces and rounder skulls. "The face of these people is really a face that falls right in the middle of the modern variation," said Hublin. "They had a skull that is more elongated than most of us, but I'm not sure these people would stand out from a crowd today." Their braincase (shown below in blue) also seemed to fall somewhere between what one might expect in an ancient human ancestor and a modern human, albeit slightly more similar to those of our archaic ancestors. This unique combination of advanced and archaic features suggests something profound, Hublin said — he's convinced the Moroccan specimens "represent the very root of our species." In other words, all of the Homo sapiens ever found — including those uncovered far beyond Africa — may trace their ancestral linkages to the land that is today's Morocco. That suggestion contradicts the prevailing anthropological logic that our species evolved somewhere deep in sub-Saharan Africa, in what some researchers have referred to as a "Garden of Eden," then gradually moved out to other parts of the world. Instead, Hublin and his team argue that Homo sapiens could have been living in terrain across Africa. "There is no Garden of Eden in Africa, or if there is, it is all of Africa," Hublin said. According to Sonia Zakrzewski, an associate professor of archaeology at the University of Southampton, Hublin's discovery could encourage other archaeologists to change the way they think about human origins. "It really sets the world alight in terms of the possibilities for understanding the evolution of Homo sapiens," she said. "It certainly means that we need to rethink our models."